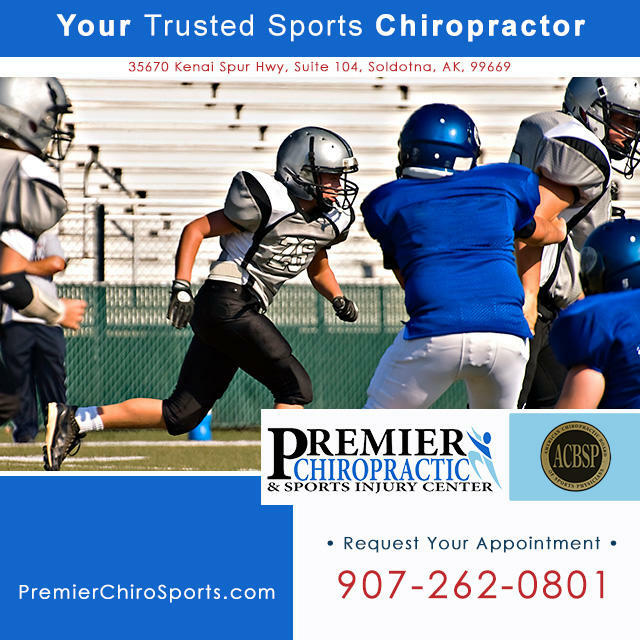 Premier Chiropractic & Sports Injury Center, is a Soldotna chiropractic clinic focused on the spine and joint health of our local athletes. 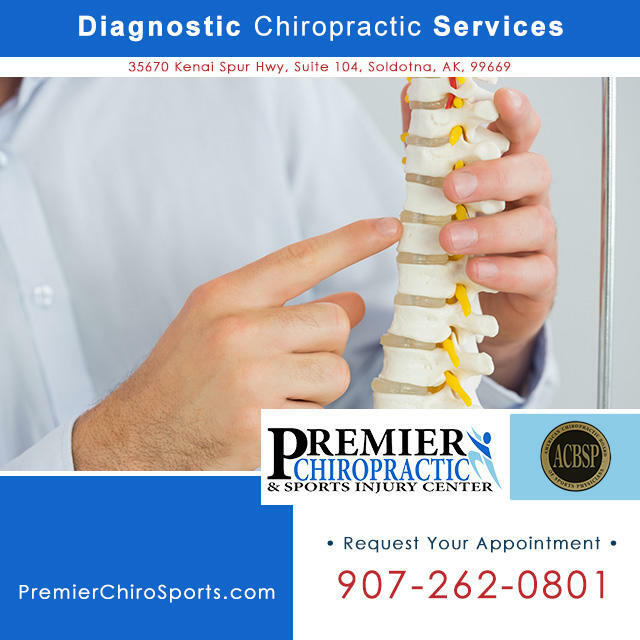 Since 2009, our Soldotna, Alaska chiropractor, Dr. Brian Larson has specialized in effective chiropractic services and techniques. He uses the latest chiropractic techniques, physical rehabilitation services, physiotherapy, electrical stimulation, and massage therapy to provide excellent results for individuals of all ages in Soldotna, AK and its neighboring Kenai Peninsula cities. We do not just treat musculoskeletal pain like the average Kenai Peninsula chiropractor. 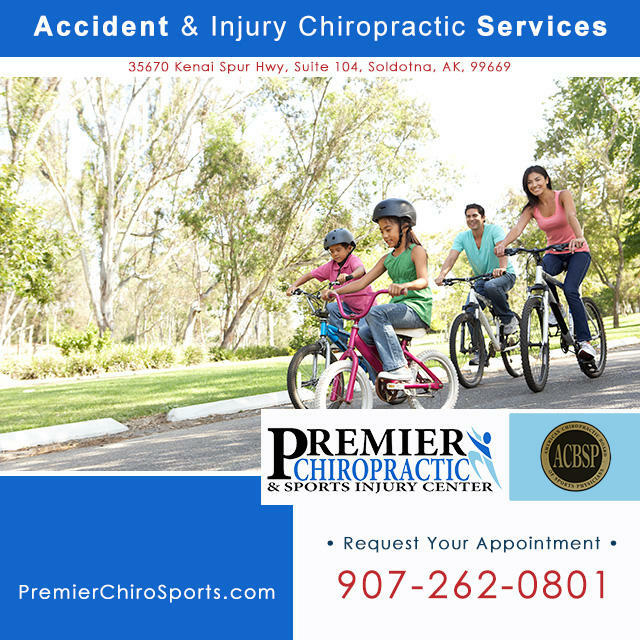 Our chiropractic sports injury center in Soldotna, AK sees patients that are interested in natural solutions to their sports injuries, car accident injuries, and work related injuries, just to name a few. Our chiropractor, Dr. Larson has advance certification in sports chiropractic. In fact he is DACBSP Certified and was trained under the current Director of the U.S. Olympic Medical Committee and many other leaders in both chiropractic and sports medicine. We assist our patients with their pain management and rehabilitation services so that they can avoid surgery and drugs whenever possible. We offer quicker recovery with fewer long-term complications. 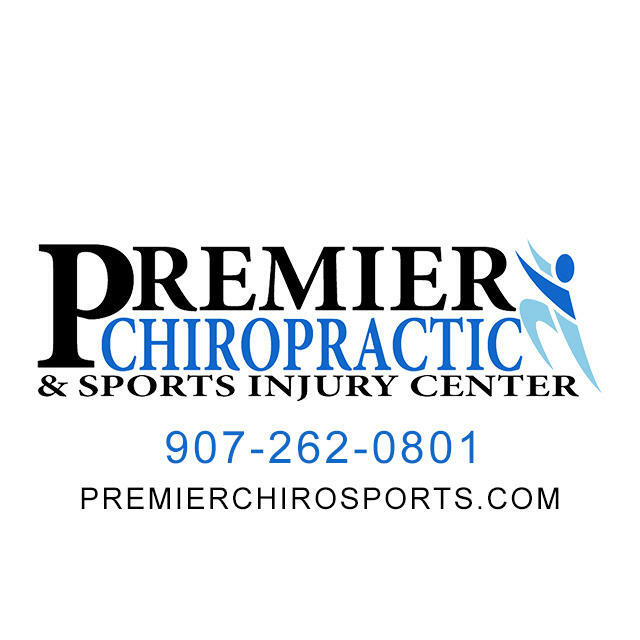 Please visit our chiropractic website for more details: www.premierchirosports.com. Our Soldotna chiropractic clinic is an in-network provider with most major medical plans and Medicare. 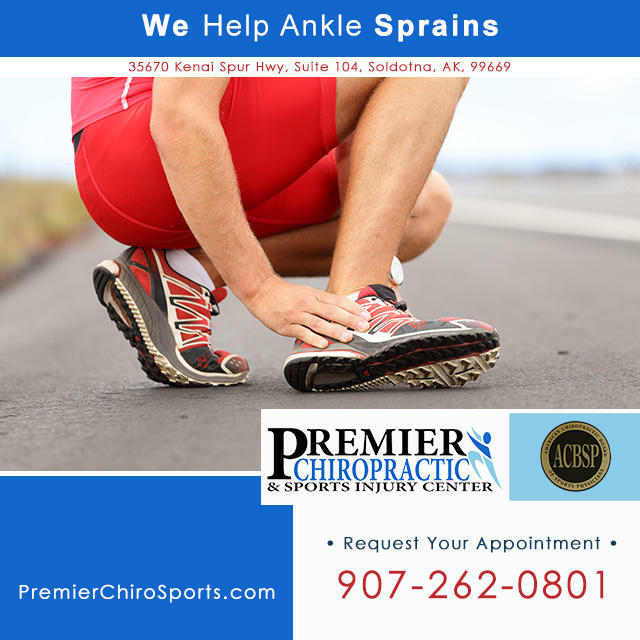 Our sports injury clinic is located in Soldotna, AK (35670 Kenai Spur Hwy, Suite 104, Soldotna, AK, 99669), just a short drive from many cities on the Kenai Peninsula. If you’re an athlete, you understand the numerous demands of participating in a sport such as running, jumping and tackling. Our sports chiropractor, Dr. Larson can help you when you’ve suffered sports injuries and also help to prevent them. If you would like to make an appointment for your sports injury, please call our office to schedule: 907-262-0801. Neck and back chiropractic adjustments work to improve the mobility of the spine and muscles to restore range of motion. If you would like to make an appointment for your neck pain and back pain, please call our office to schedule: 907-262-0801. A chiropractic adjustment or manipulation can be extremely beneficial for patients that have car accident injuries, such as whiplash or back pain. We’ll help you reduce your pain and regain your range of motion. If you would like to make an appointment for your car accident injury, please call our office to schedule: 907-262-0801. Knee pain can be caused by numerous activities, especially a sports injury. We use chiropractic to reduce pain and get you back to doing the activities you love. If you would like to make an appointment for your knee injury, please call our office to schedule: 907-262-0801. Our chiropractic adjustments work to improve the mobility of your shoulders to restore range of motion. We like to combine this with our massage therapy for pain control. If you would like to make an appointment for your shoulder injury, please call our office to schedule: 907-262-0801. Running can be very hard on your joints and even cause shin splints. Our sports chiropractic services will help you avoid surgery and drugs. If you would like to make an appointment for your shin splint pain, please call our office to schedule: 907-262-0801. Our chiropractic services treat foot pain, including poor alignment of the bone structure, and even plantar fasciitis. For some patients we even recommend and work directly with you to get you custom orthotics. If you would like to make an appointment for your foot pain, please call our office to schedule: 907-262-0801. Massage is a great way to help control and reduce your pain. Many times, we administer massage at the same time other chiropractic techniques are being used. Our sports injury clinic has two amazing massage therapists on staff ready to assist you. If you would like to make a massage appointment, please call our office to schedule: 907-262-0801.